The Strata Non-Quilted Top model is an all foam mattress. This mattress uses high density polyurethane foam as its base with 4” of memory foam on the top. 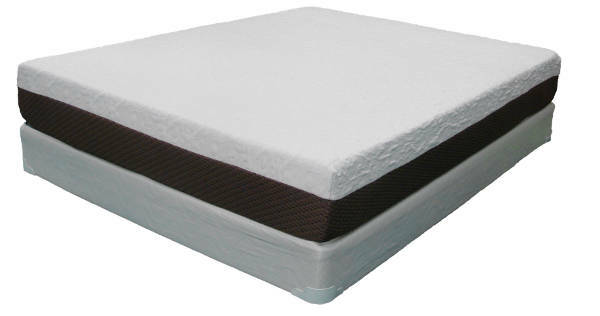 For individuals that love the feel of memory foam this is a great choice. This mattress is covered with a removable, washable raised stretched circular knit cover. With this cover you are essentially laying right on the memory foam. This model is softer feeling than the Strata Quilted Top model. It gives you a plush supportive contouring feel as you sleep. The 4” of top memory foam are split as follows: 2” 3 lb. memory foam and on top of that a 2” 4 lb. gel infused memory foam. It is a great mattress at a great value. This mattress is constructed to be one-sided.